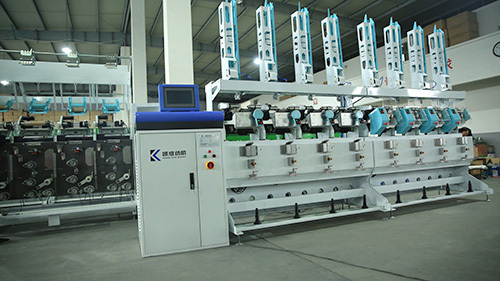 New brand automatic embroidery thread Winding Machine , good performance and high efficiency . With thermostatic oiling device,length counted, and tube loaded or unloaded in full package automatically by computer. With soft edge device,and soft edge density is controllable. Whole machine adopts 36V brushless motor to drive,saving more consumption. Our machine is your best choise! Looking for ideal Automatic Sewing Thread Winder Machine Manufacturer & supplier ? We have a wide selection at great prices to help you get creative. All the Embroidery Thread Winder are quality guaranteed. We are China Origin Factory of Embroidery Winding Machine. If you have any question, please feel free to contact us.